Hello all! Welcome to the last day of the April A to Z. It's been a great time as always, and I've enjoyed looking at the blogs immensly. I want to leave you all with a present and that is some links to all the free gamebooks that you can enjoy online. There's plenty here to sink your teeth in and all for free! Enjoy! 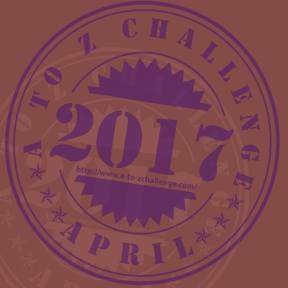 And I look forward to the April A to Z 2017. Project Aon - a collection of all the books written by Joe Dever, author of the Lone Wolf series, Freeway Warrior, Combat Heroes and many other excellent gamebooks. And they are all free! 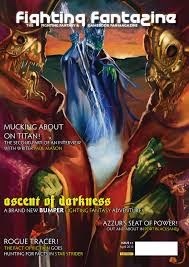 Fighting Fantasy amateur adventures - A collection of amateur adventures submitted to the Fighting Fantasy website. Fighting Fantasy Project - more Fighting Fantasy books, most of which are playable online. Ashton Saylor's works - Ashton Saylor has made many of his gamebooks free as his gaming materials. Check them out. I have also made all of my gamebooks Pay What You Want or free apart from Asuria Awakens, which is well worth the money.